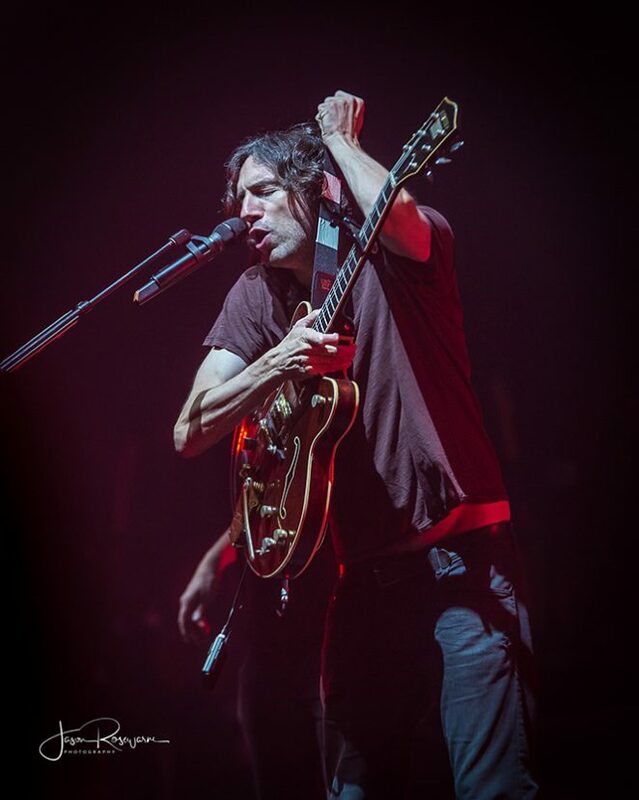 Six years on from their last visit to Australia, and twelve years on from reaching the top of the ARIA charts with the mega-hit album Eyes Open, Northern Irish Alt-Rockers Snow Patrol are back with a new album, and if tonight’s show was anything to go by, they won’t be going away any time soon. Support act Husky have been on the Melbourne music scene for nearly ten years and were a pleasant choice to open up the evening. 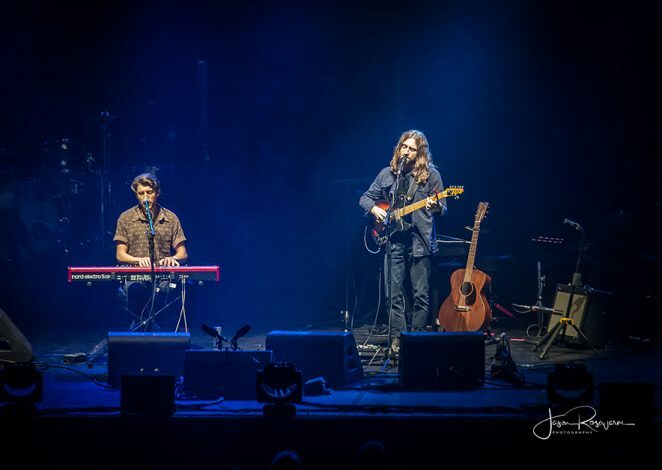 Performing tonight as a duo, lead singer/guitarist Husky Gawinda and keyboard player Gideon Preiss played stripped-back versions of material from their back catalogue, full of hypnotic melodies, lush chords and close harmonies. 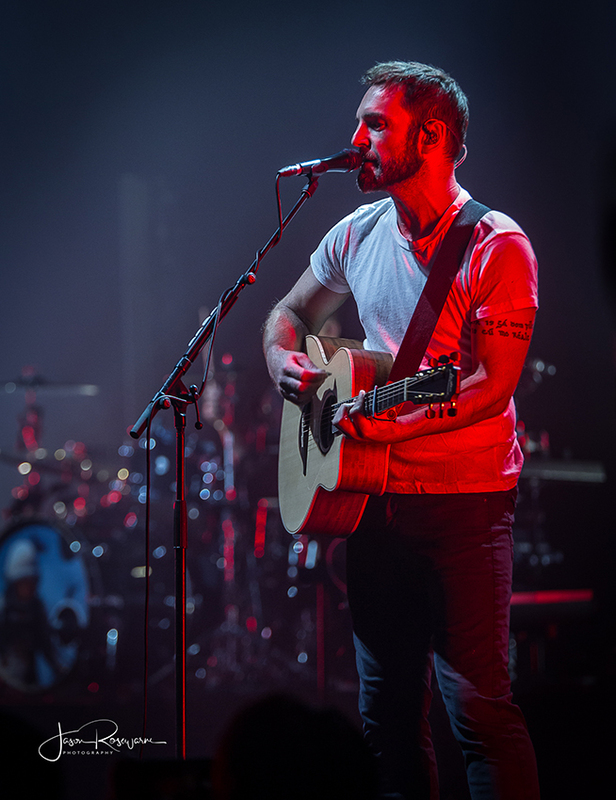 Gawinda has a natural clarity and lightness to his voice, and his lyrics came through clearly and strong, while his guitar playing had a soft attack but a strong output, with individual notes ringing out on top of strummed chords. Opening with the poetic “Tidal Wave” and finishing with the upbeat “Saint Joan”, this was a set where there was enough variety despite limited instrumentation, and I was quite happy to sit back and let the music wash over me. 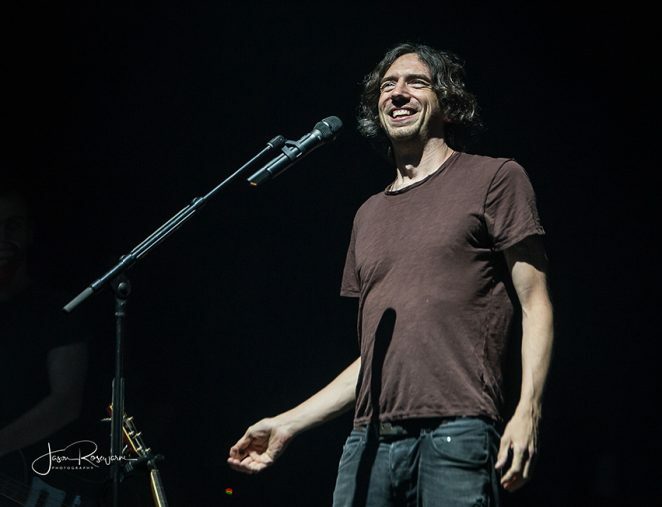 Within minutes of frontman Gary Lightbody taking the stage, he had the audience in the palm of his hand. 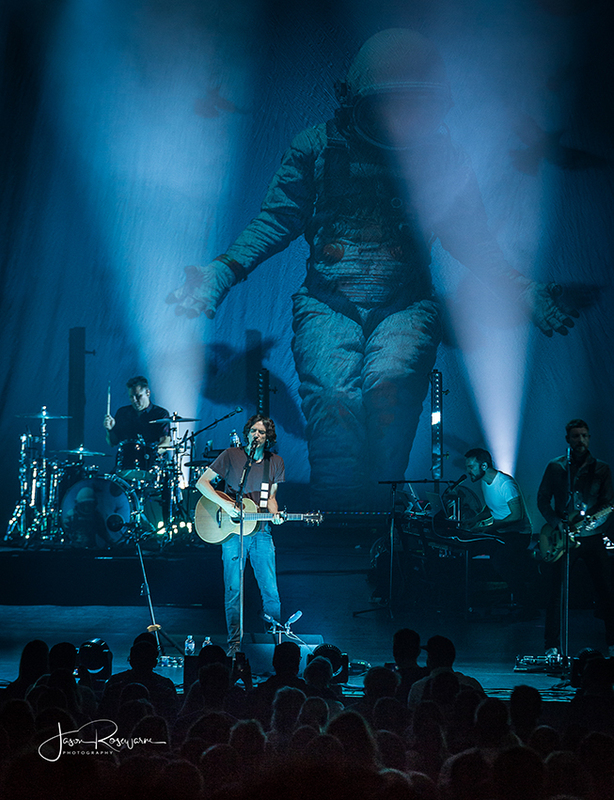 Opening with two back-to-back classics – “Chocolate” and “Take Back the City” – he immediately turned into an energetic, animated performer, with exaggerated shaky movements, powerful rhythm guitar playing and a huge smile on his face. He really just seemed like a guy who was happy to be there and was relishing every moment of being onstage. 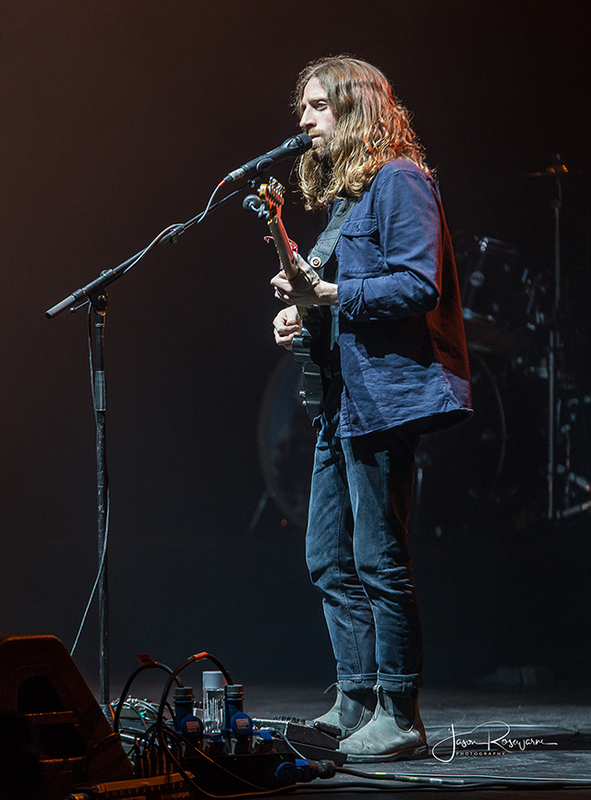 Lead guitarist Nathan Connolly also had a hard time standing still for the duration of the show. 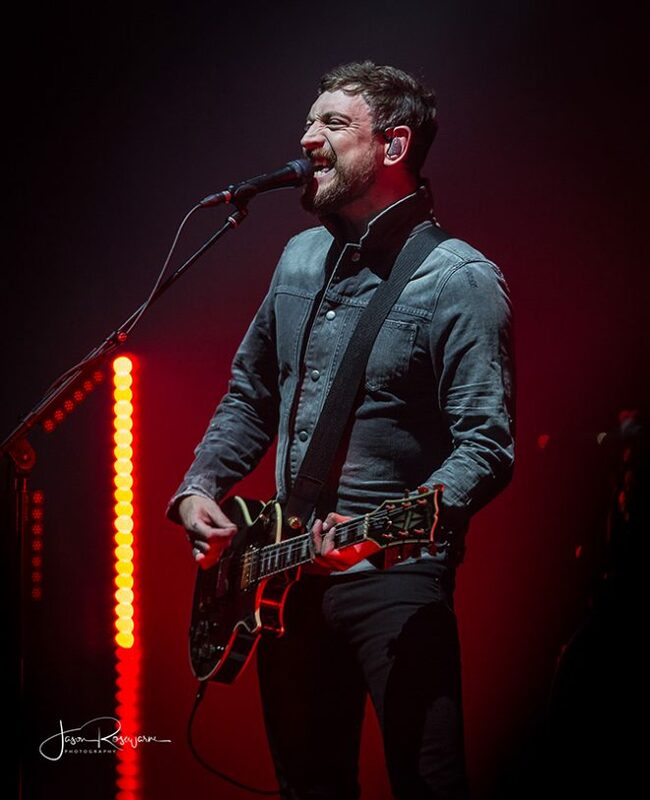 In every song, he was swaying to the beat while taking a laid-back approach to his playing, emphasizing colour and emotion over technical prowess, a technique similar to that of The Edge or Coldplay’s Johnny Buckland. 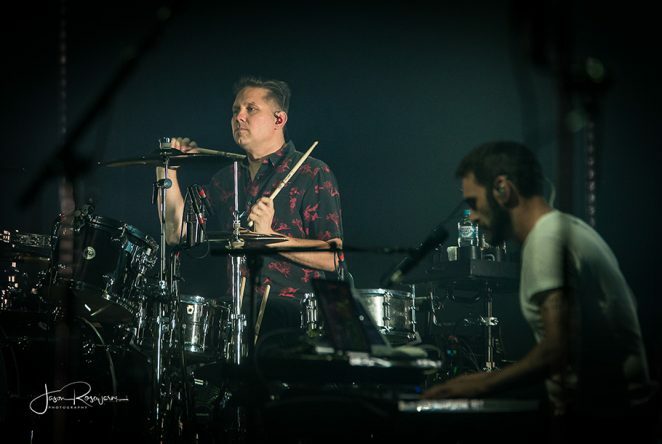 Drummer Jonny Quinn had a deep, resonant drum sound on par with any studio recording, Paul Wilson played basslines across every octave, and ‘new guy’ Johnny McDaid added soulful piano and backing vocals to the overall sound, occasionally stepping out front with aggressive rhythm guitar. 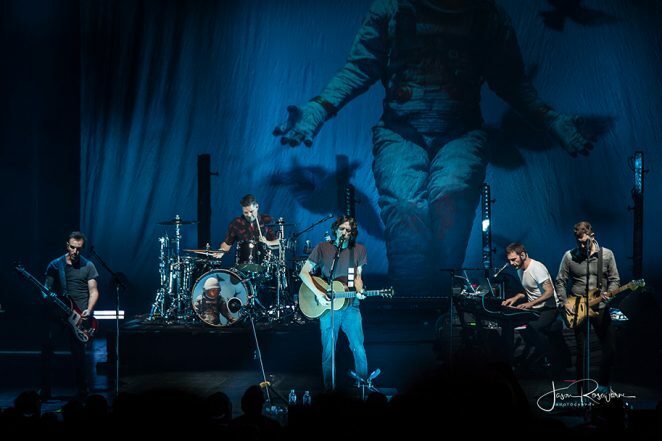 The 16 songs chosen tonight could easily be split into three categories – five songs each from the band’s new album Wildness and the aforementioned Eyes Open, with the remaining six tracks taken from the rest of their career. 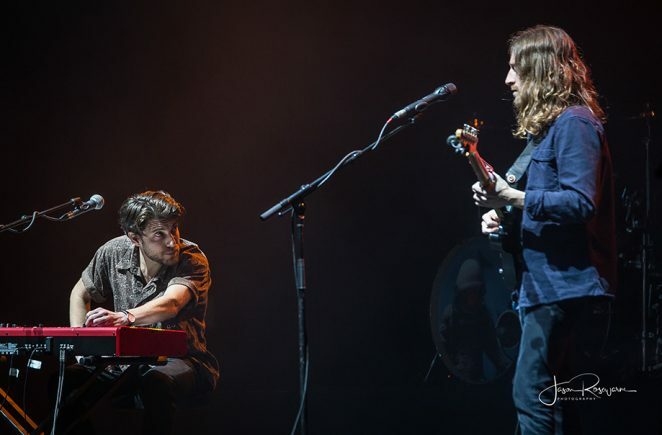 The audience was full of die-hard fans who sang along for all the most popular tunes, including “Run”, “Shut Your Eyes”, “Open Your Eyes” and of course “Chasing Cars”, which was played faithfully to its original arrangement and sounded just as fresh as it did twelve years ago. 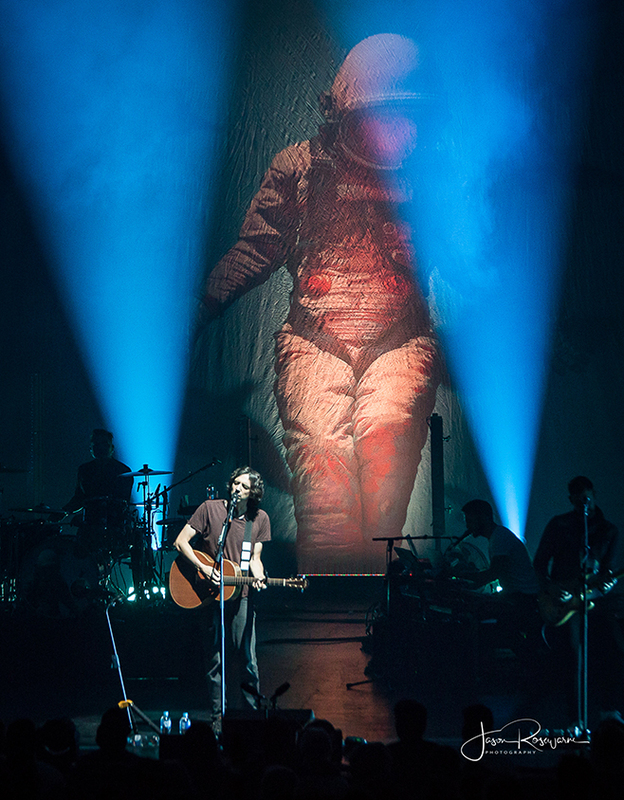 The newer tracks fit into the set well, and in some cases actually surpassed their studio counterparts – highlights in particular were “Don’t Give In”, which was transposed down a whole step and sounded more relaxed as a result, and the anthemic “Life On Earth”, which Lightbody said took him five years to write. The final song of the main set was “You’re All I Have”, the opener from Eyes Open. 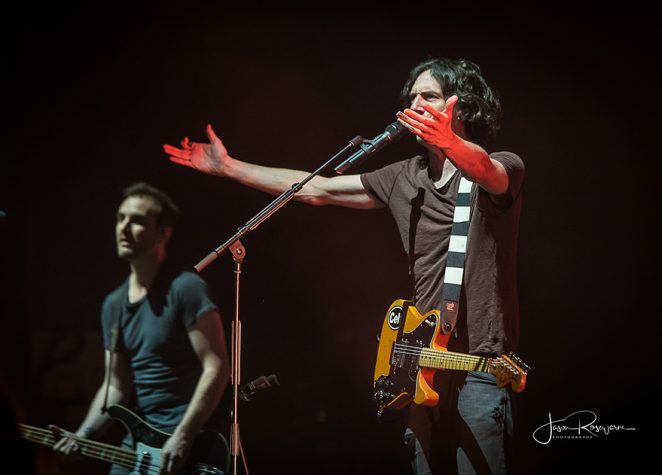 Any claims that Snow Patrol are a ‘slow band’ were proven false with this last song, which was an up-tempo rocker that everybody could dance to. 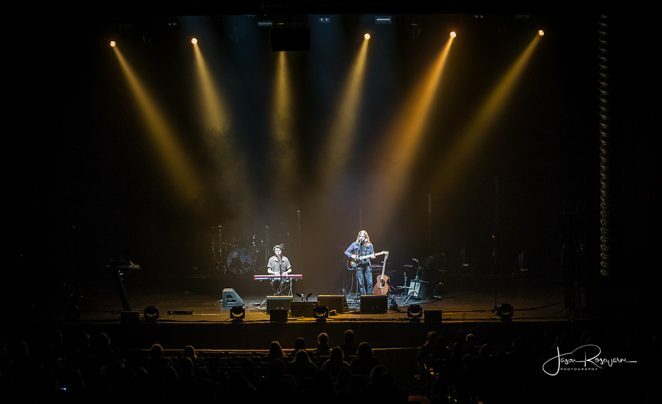 After waiting two minutes for the ‘spontaneous encore’ (Even Lightbody admitted that this trope is getting tiresome), Lightbody and McDaid returned to the stage to play “What if This Is All the Love You’ll Ever Get?”. Even with the long title, this is a track that should be getting flogged on contemporary pop radio, as it has all the hallmarks of a great emotional piano ballad. 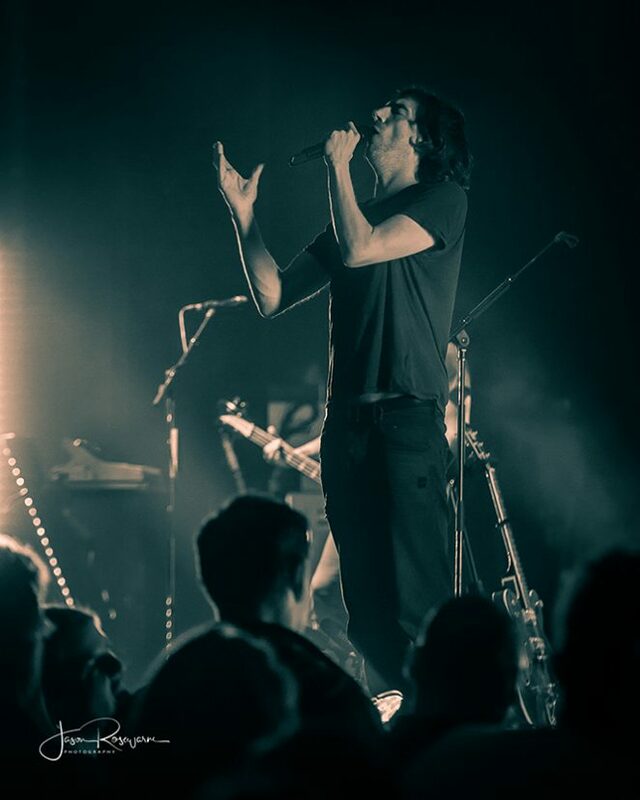 With no guitar, Lightbody put all his dramatic energy into his performance and vocal delivery for this song, saving the euphoric joy for the closing number of the night, the disco inspired “Just Say Yes” which once again served as a great crowd sing-along number. There was no group bow as the band left the stage, but Lightfoot promised that they would be returning next year and invited everyone to come along. 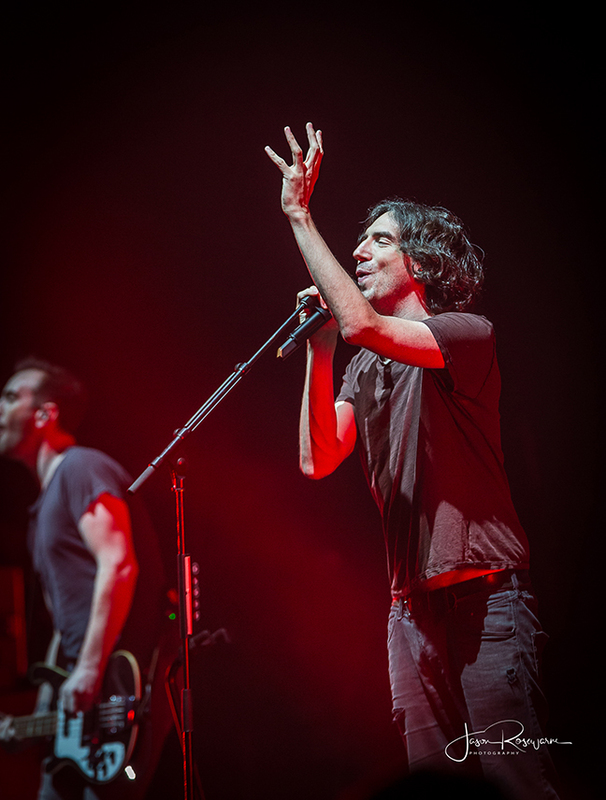 Snow Patrol are a band I’d never really looked into before I was asked to do this review, but I’m glad I did. Their show tonight was a perfect example of ‘less is more’. No flashy guitar solos or rear screen projections, and nothing too fancy with the light show. 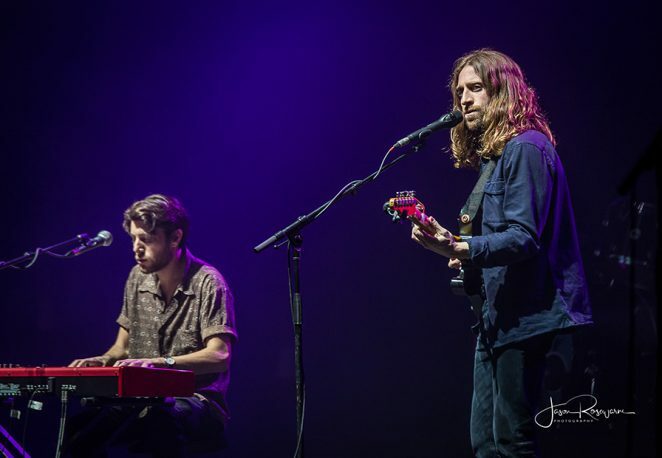 However, they are very competent songwriters and give of great vibes with their stage presence. 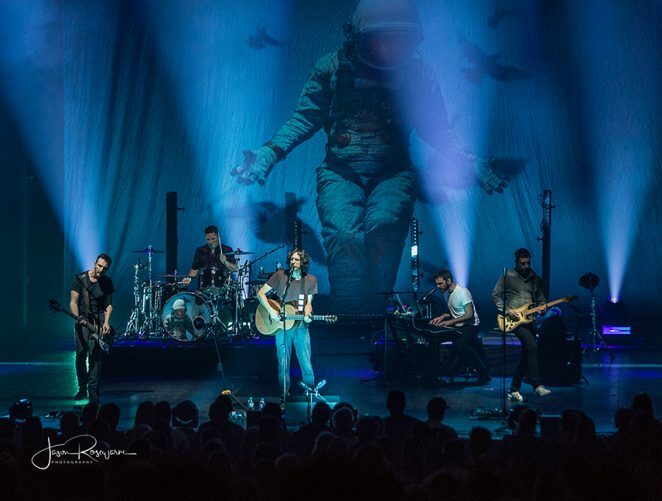 I highly recommend them to fans of Coldplay or U2, and if you can’t afford tickets to either of those bands but still want to see a band with emotion, you could do a lot worse than spend an evening with Snow Patrol.